The Thrive BURN is a wearable weight-loss patch with a super adhesive that attaches to the consumer’s skin. The treatment involves a transfer of ingredients that have proper nutritional values into the bloodstream of anyone wearing the patch. 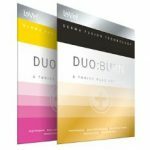 The technique works with the Derma Fusion Technology (DFT), and the patch has two distinct models – Thrive DUO, and Thrive DUO BURN. However, the result of this weight loss program may vary with each user according to their body. Who is the Manufacturer of Thrive BURN? Le-Vel is the company that manufactures nutritional supplements, dietary shakes, and weight loss patches. The company behind the brand – Thrive BURNes and has been in existence since 2012. The brand is also known as the premium “lifestyle” company; it was founded by Paul Gravette, and his partner – Jason Camper. According to information on the product’s website, Le-Vel operates on the concept of using clean ideas to offer effective health and wellness treatment. How Does the Thrive BURN Work? It’s proper to learn how the ingredients in this wearable patch work before using them. The Thrive patch treatment is based on the workings of multiple ingredients, and they are absorbed through the dermal layer of the user’s skin. However, there’s no disclosure of each ingredient’s concentration (quantity) from the manufacturer. Instead, users of the patch are expected to carry out a workout regimen where thermogenesis leads to weight loss and appetite management. The ‘technology drive breakthrough’ system transfers these ingredients and helps the body to burn fat. The Le-Vel Thrive BURN Ingredients – Are They Safe and Effective? The ingredient lists for the Le-Vel Thrive BURN weight-loss patch doesn’t contain details concentration per ingredient. However, a handful of these ingredients are used by other weight management brands. Green Tea Extracts – Have vitamins that speed up metabolism and supports weight loss. More so, there’s a healthy dose of antioxidants, catechins, EGCG polyphenol, and camellia sinensis in the tea extracts . This fat-burning extract naturally activates norepinephrine (hormone). L-Arginine – Is a natural compound that produces nitric oxide. Arginine is an amino acid booster; it helps to circulate nutrient and blood. Apart from weight management, other uses of L-Arginine include the regulation of high blood pressure and treatment of chest pain. White Willow Bark – Has been used since the medieval age, and extracts from this herbal plant have a wide application. It contains salicin – an anti-inflammatory compound, and a synthetic chemical version of aspirin. Most pain-relieving supplements also use extracts from the white willow bark. Chlorogenic Acid – In green coffee beans acts faster for weight loss than regular coffee. More so, chlorogenic acid (CGA) is the main polyphenol in coffee beans and a bioactive compound. You can only get chlorogenic acids from coffee beans that haven’t been roasted. Apart from aiding weight loss, the compound may help to lower high blood pressure. Forslean – Has the botanical name of Coleus forskohlii. Apart for appetite management, it’s used for other purposes in Ayurveda medicine. However, Forslean is a bioactive compound and an additive in cosmetic applications. Cosmoperine – Is an extractive compound (tetrahydropiperine) from black pepper. According to the Thrive patch’s website, cosmoperine increases the bioavailability of other nutrients in the patch’s derma fusion technology. Coenzyme Q10 (CoQ10) – Is an antioxidant that boosts energy levels in cells’ mitochondria. However, little is known about this ingredient supporting weight loss. Garcinia Cambogia – Is rich in hydroxycitric acid (HCA) and used in most fat-burning and appetite-suppressing supplements. What are the Advantages of Thrive BURN? What are the Disadvantages of Thrive BURN? The weight loss patch isn’t sold to people except through a promoter of the product that’s registered with Le-Vel. The product’s website doesn’t give pharmacological details of all its ingredients. How Should You Use the Thrive BURN? According to Le-Vel, the ‘Thrive Patch’ comes in different colors and designs. Use the patch as directed on the product’s label. It requires you to peel the patch to reveal an adhesive sticker. Then place it on the clean surface of your skin before the ingredients are expected to seep into your bloodstream within 24 hours. How Much Does Thrive BURN Cost? There’s no specific prize for the product because there are options for different plans of the program. The 8-week premium lifestyle, single purchase and monthly auto-ship plans have different prices. There are 30 (thirty) DFT applications in the monthly auto-ship purchase plan (recurring shipments) of Le-Vel’s product. Choose the plan you desire from the product’s website. What is Thrive BURN’s Return Policy? Le-Vel has a 30-day return policy for customers that are not satisfied with the product. A refund will be made to customers upon the return of Thrive BURN product. Does the Thrive BURN Offer a Free Trial? The official website of Thrive BURN doesn’t have an option for free trials. This weight loss patch claims to use the transfer of proprietary blend with transdermal ingredients into the body. This Le-Vel brand has a range of products for weight loss, but its wearable patch allows ease of use. The Thrive BURN may apply natural time release of ingredients that help consumers to control appetite and support metabolism. The product contains active ingredients that may cause adverse effects on certain users. More so, this patch may contain adhesive that causes skin irritations. A healthy diet plan and set of routine exercises can’t be substituted for dietary supplement when you plan to start a weight loss program. You can choose from effective weight-loss alternatives that contain safe if you are not satisfied with this product.